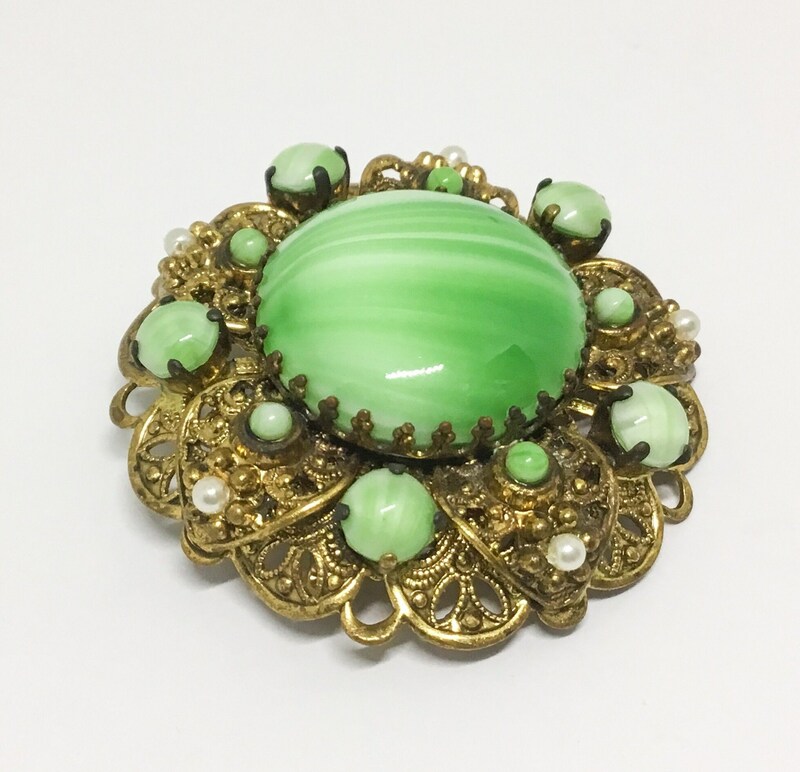 This is a wonderful vintage 1940s West Germany green swirl cabachon brooch. 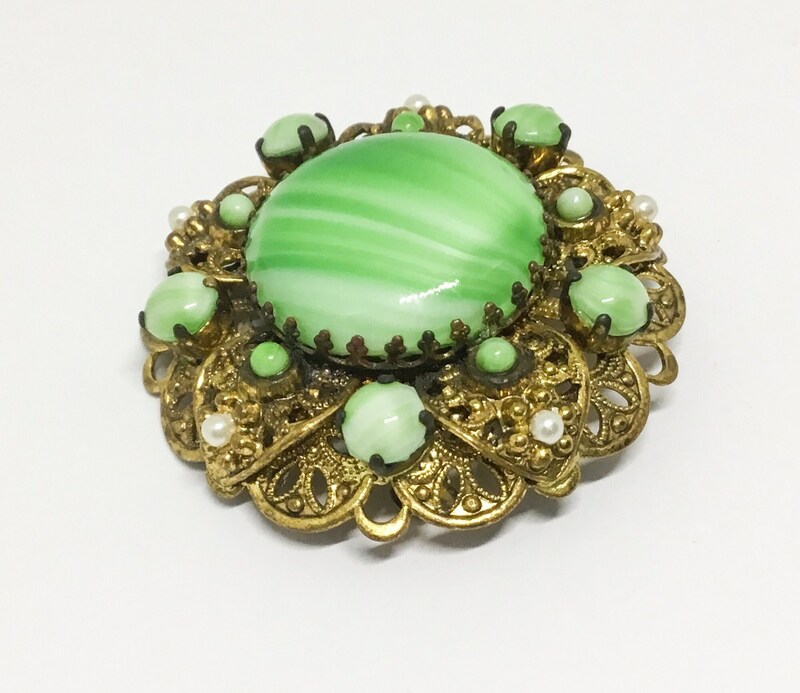 The center is a very large round green swirl glass cabachon. 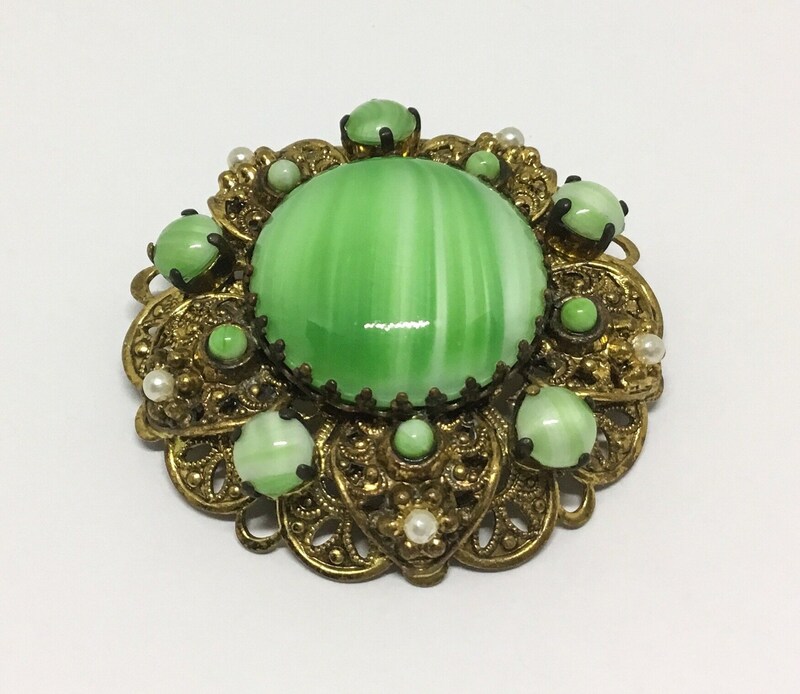 It is surrounded by medium and small green swirl cabachons matching the center stone and faux pearls. The large center stone has a Fleur de Lis bezel. 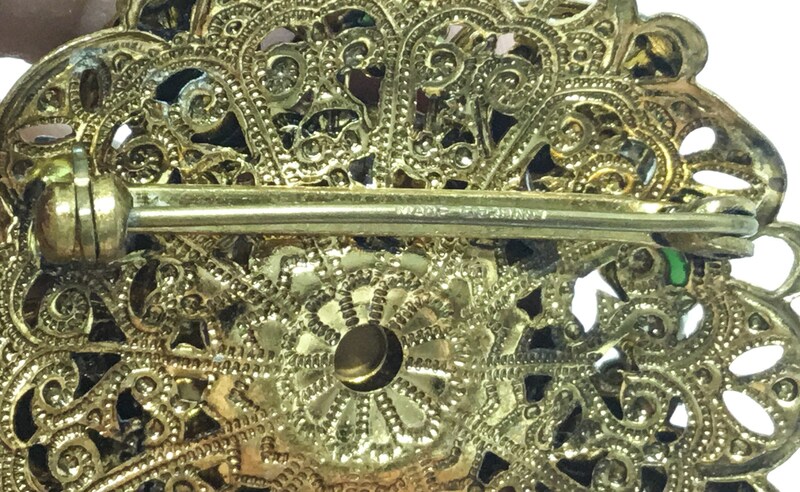 The brooch setting is a brassy goldtone filigree metal. 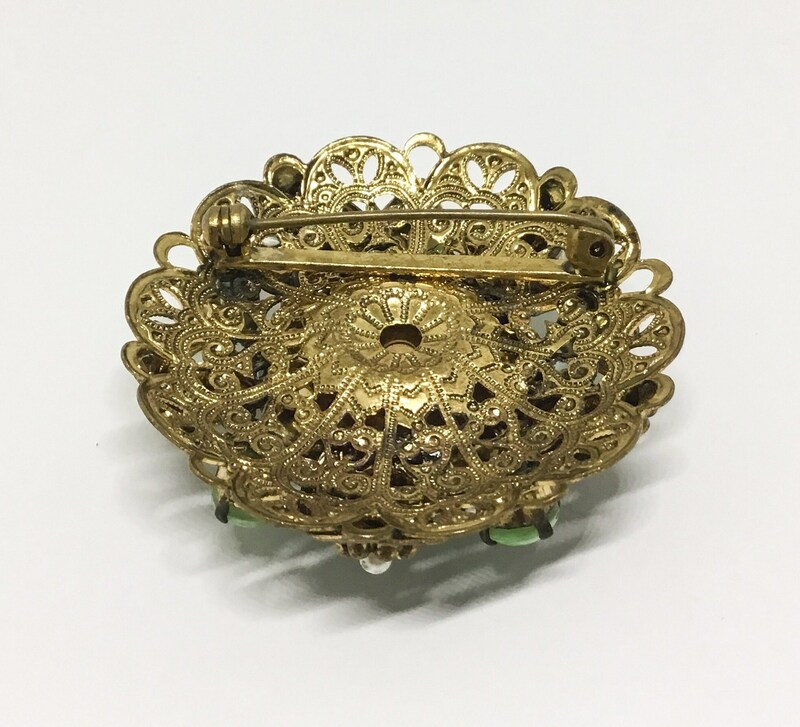 It has metal bead accents and a convex shape. 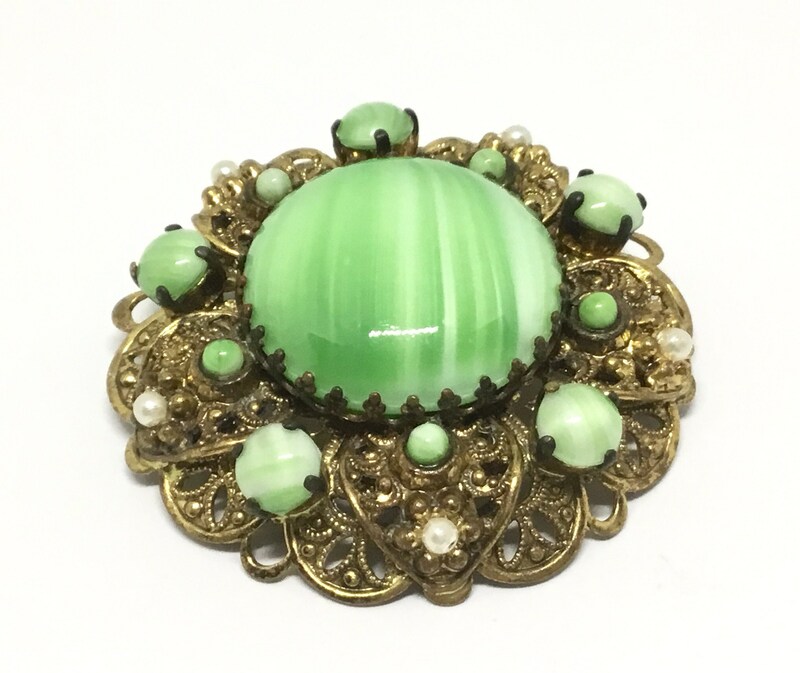 It measures 1 7/8” in diameter and the pinback is straight and works smoothly and securely. It is signed West Germany literally on the pin of the pinback.....definitely hard to see but there! 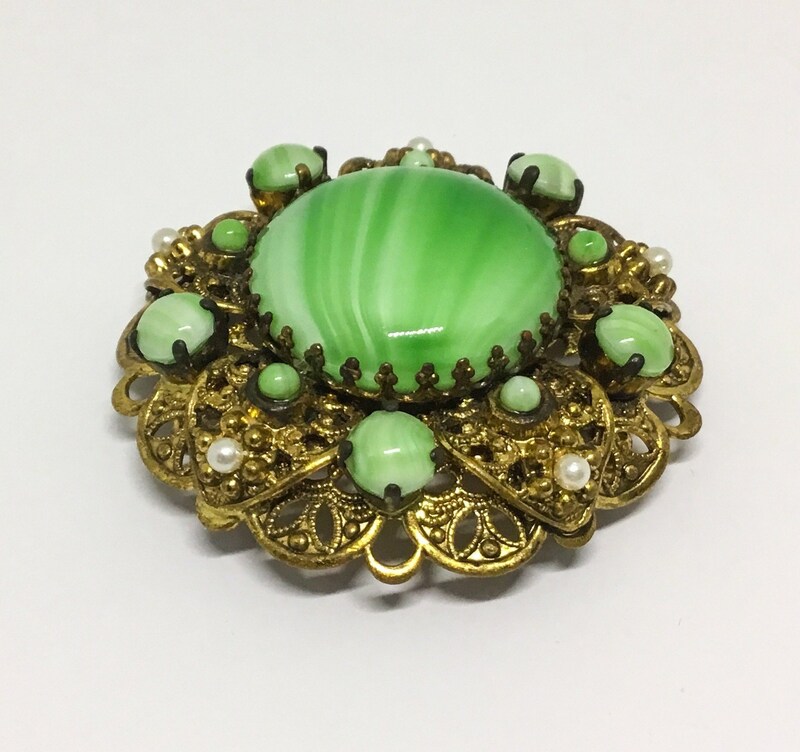 This elegant vintage brooch would be great as a gift to yourself or another who either loves West Germany brooches or that great big green swirl cabachon!